Sandhar Technologies Limited was incorporated as an OEM (Original Equipment Manufacturer) in the field of 2-wheeler locks and rear-view mirrors, more than 3 decades back in 1987 with its corporate office in Gurgaon, Haryana. The company started as a supplier of Sheet Metal products (with the name as Sandhar Locking Devices Private limited) to Hero Honda and has gradually increased its product and client base to a different level. 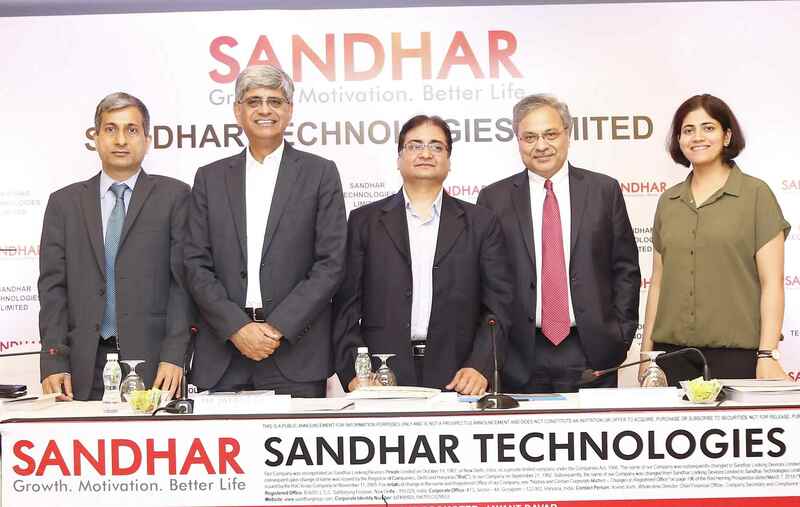 In October 2005, the company name was changed to its current name – Sandhar Technologies. The business has made of collaborations, partnerships and acquisitions since its establishment more than 30 years back. Today, Sandhar Technologies Limited offers products such as Handle Bars, Clutches, Automotive mirrors, handles, Wheel rims and more to a client base that includes names such as TVS, Hero Honda, L&T, Tata Motors, Ashok Leyland, Royal Enfield and more. The business, as of today, has 33 manufacturing units in India (including Gurgaon, Bangalore, Pune, Haridwar etc) and at some international locations such as Spain, Indonesia, Poland & Mexico. The company claims to have an employee base of more than 6200 in business verticals such as Sandhar Automotives, Sandhar Components, Sandhar Automach. Sandhar Technologies Limited is coming up with an IPO in the range of ₹565 Crore that launches on 19th March 2018. ICICI Direct and Axis Securities are going to be managing the IPO for Sandhar Technologies. 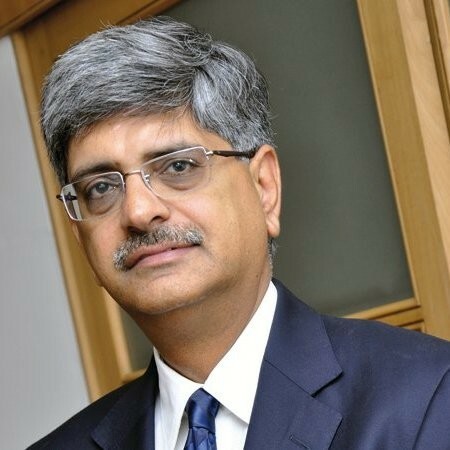 Jayant Davar founded Sandhar Technologies Limited in the year 1985 and serves as the Co-chairman and Managing director of the company. He has worked in multiple capacities at Sandhar Technologies including Independent director position as well. From the education perspective, he holds a mechanical engineering degree along with a business management masters from Harvard Business School. Sandhar Technologies Limited IPO is going to hit the share market on 19th of March 2018 and as a retail investor, you will have 3 business days to place your bid in the IPO, in case you are interested. The IPO price band has been kept in the range of ₹327 to ₹332 with 6,400,000 equity shares for bids to be placed. The total IPO size has been kept in the range of ₹561 Crore to ₹565 Crore, making it one of the mid-sized IPOs in 2018. In a single bid, you can look for 45 shares and in case you are interested in more, you can place for lots of 45 shares each. The lot price falls in the range of ₹14,715 to ₹14,940. Remember, with a single PAN card, you can bid for a total investment of ₹2 Lakh and nothing beyond. Furthermore, if you are minor and are looking to bid for this IPO, it’s better to check the requirements in this detailed article on Whether a Minor can apply for an IPO. Sandhar has a dependency on a limited set of its client base for the major chunk of their revenue. Loss of one or few clients can lead to substantial decrease in the overall business the company makes. There are few litigations pending against the company and its subsidiaries and a decision against the business in any of these can impact the brand equity along with the monetary loss (having said that, a major business run through a lot of litigations on a general basis). There is a reasonable amount of indebtedness left at Sandhar Technologies’ end, which is going to stay more or less even after the company goes public. As a disclaimer, Sandhar Technologies says that there is no guarantee that every business strategy or implementation, they go ahead with is going to take the business into a positive direction. There is going to be a risk involved, every time they implement something new. The business will continue to set-up joint ventures, partnerships and other business alliance models for business streamlining and cost-effectiveness. Sandhar Technologies’ business relies a lot on the 2-wheeler segment and an adverse impact on this business domain is going to have a direct impact on the business of Sandhar Technologies as well. At the same time, it needs to be known that each company looking to get listed on the share market through an IPO must make the risk communications on an upfront basis. Let’s look how Sandhar Technologies Limited has been able to perform from the financial perspective. This quick analysis will give us an idea of the financial health of the company, its ability to grow using the funds raised and the overall momentum the business carries. The business assets have grown almost to double their value in the last 5 years or so. Similarly, with recurring business, Sandhar Technologies Limited has seen a consistent increase in its revenue and profit in these five financial years. The growth percentage is around average and is not amazingly high. If we talk about the last financial year specifically, Sandhar Technologies Limited came up with a growth percentage of 17% and an improvement of 7.6% in its revenue. Thus, make sure you consider this aspect before making up your mind on whether to go ahead with this IPO investment or not. Repayment and pre-payment of business loans Sandhar Technologies has taken up in the last few years. ₹225 Crore is going to be spent on this particular aspect. Rest of the funding is going to be utilized for General Corporate Purposes. 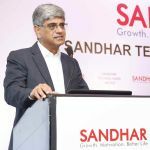 Sandhar Technologies has taken business loans and debts from lenders such as Citi Bank, DBS Bank, HDFC Bank limited, Hero FinCorp, ICICI Bank and a few more. Out of the total funds raised, Sandhar Technologies is going to pay ₹225 Crore to get rid of the interest payments and the overall principal deduction. Rest of the funding i.e. ₹75 Crore is going to be used for General corporate purposes. Yes, Sandhar Technologies is looking to leverage the added marketing and brand equity addition through this IPO and listing on the exchanges as well. Although, the plan is there as far as usage of the capital is concerned, but using investor’s money to pay for debts does not really give much of a confidence in the business goals and future objectives (more on this in the Recommendation section). As shown above, the IPO opens up for bidding on 19th March 2018 and will stay open for bidding until 21st March 2018. Then most likely by 26th March, the decision on finalization of allotment will be done which will be followed by shares getting credited to your demat account by 27th March 2018. In the meantime, in case you do not get any allotment, your blocked money in your bank account (assuming you used ASBA for IPO application) will be unblocked by 27th March 2018 itself. Finally, Sandhar Technologies will be getting listed on NSE and BSE on 28th March 2018. We will be blunt on this one. Honestly, there are multiple reasons for us not recommending you to go ahead with your investment in this IPO. First, the funding is primarily going to be used for repayment and pre-payment of loans and debts. In other words, it simply means, the business does not have enough capital to get rid of these loans (as of now!) and want to get rid of the interest it is paying to the lenders. The business is not going to have any big expansion plans or projects lined up. Since if they had such plans, they would have marketed the IPO in that fashion. Thirdly, even if we leave points 1 and 2, Sandhar Technologies EPS does not seem to be connected with that they are asking for as the bidding price. In simpler terms, the asking price is way high than what the numbers tell about the business current situation and financial stature. * The recommendation is just our viewpoint and you are advised to check with your financial advisory and/or stockbroker before investing any money in this IPO. A Digital Blogger bears no responsibility in such investments and the corresponding profits/losses. Interested to Apply in this IPO? Enter Your details here and we will arrange a FREE Call back. Can a Short Sell IPO be Done?